What happens if connect a rotating induction motor to the grid? All AC machines (synchronous and induction) have a window of opportunity for reclosing. The basic resolution for reclosure (also known as "bus transfer") is either "fast" or "slow". Typically, "fast" reclosure efforts occur within a few cycles (think less than 8, and often less than 6). In terms of actual time elapsed, it will certainly be faster than 0.12 seconds. If you're attempting this on a synchronous machine, it MUST have brushless excitation, since it can only be done with the rotor field energized. The induction motor's basic principle is that the rotor is rotated by the interaction of the magnetic field generated in the stator and rotor. Should you switch the motor off (de-energizing the stator winding), the stator core will have no magnetic field driven by the stator current (being zero), however the rotor (regardless it is squirrel or slipping) will still have a circulating current exponentially decreasing by the resistance of the circuit. 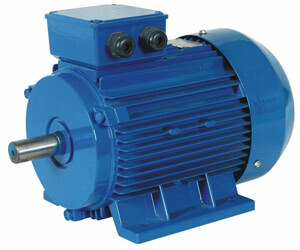 This current will indeed generate a magnetic field both in the rotor and the stator. Now, the re-closing condition and behavior will depend on the actual interaction between the existing magnetic field amplitude and phase displacement compared to the newly generated field amplitude and phase displacement. The whole story boils down to the situation very similar to synchronization. In proper phase the current peak is negligible, whilst in anti-phase the current can be n times higher than the normal starting current. Those induction motors are capable to generate an energy, comparable with their nominal power, at least I managed to make them to generate, but it is not so easy - currents must flow all the time, people use relatively big (I was using about 30 uF per phase for about 1 kW motor) capacitors to maintain those currents to flow. Being disconnected from grid/load/capacitors, those currents do not flow anymore, and the motor stops the generation, and it is not so easy (you must connect those capacitors, accelerate the motor to the resonance speed, and just when the voltage will get high enough, you may plug in the load and start to use it as a generator) to make it generate again. It is possible to use motors as in-grid generators if rotate them with the speed, higher than a slide speed, but all this is irrelevant to this exactly case. When the currents are interrupted for even a moment - induction motor is not a generator anymore. If the motor has been connected to a source there will be a back EMF for a few cycles. If the induction motor is shunted by a power factor correction capacitor the back EMF will continue for more than 60 cycles. If you connect to the source with a voltage on the terminals of the induction motor you will see high currents for a short time. These currents can be damaging to the motors winding as they will exceed normal inrush. An open transition wye delta starter during transition behaves in the same way. If however the motor is accelerated to near full speed by an external source as was stated above the motor will reach its normal operating speed. The slip speed will be determined by the load. To restart a still rotating electrical motor by connecting directly to supply is possible but needs some considerations first. Firstly when a motor is energized direct to grid (DOL) is will take as much energy as it can get to accelerate to full speed ASAP. Therefore the best results will be achieved when the speed is closest to normal and load has lowest inertia. As speed is lower and inertia higher the shock of re-energizing motor will cause voltage drop, loss of torque, plus stress the driven load components. The supply system and rotating parts must be engineered to be able to withstand this shock or will be damaged. Reactors or resistors have been used in the past to mediate the short time high currents when connecting an induction motor to the line that has been accelerated to almost full speed or slightly over speed with an inverter and then connected to the power source. Like a closed transition wye-delta starter.